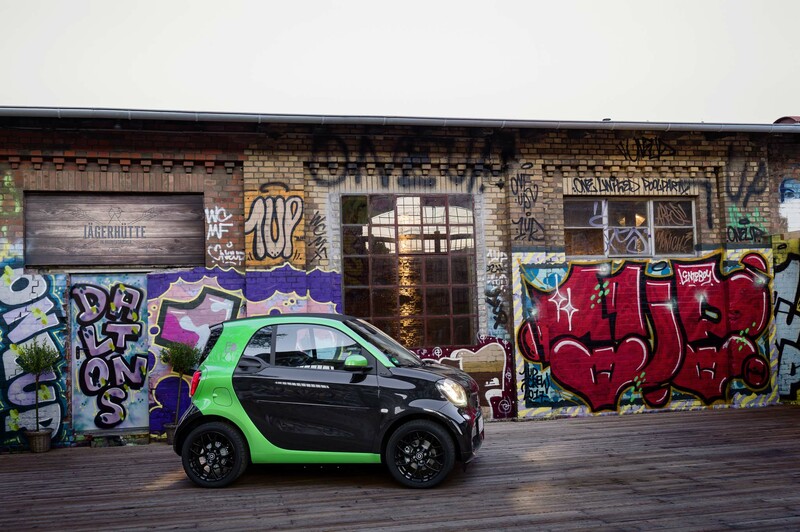 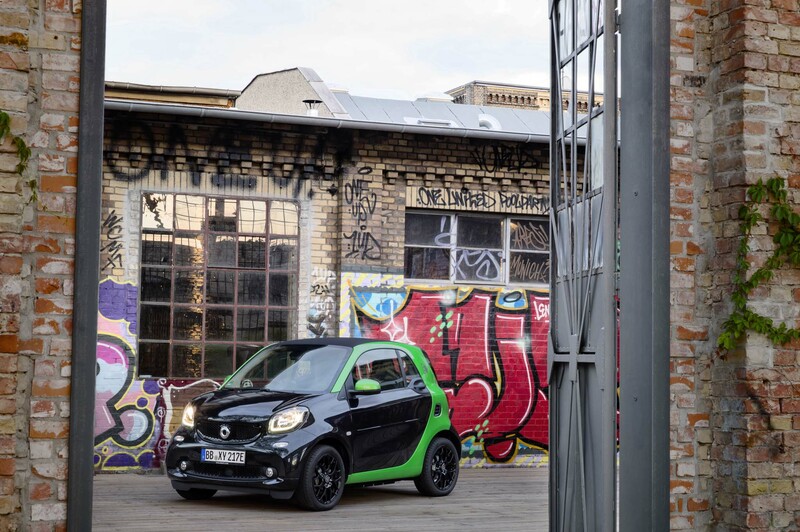 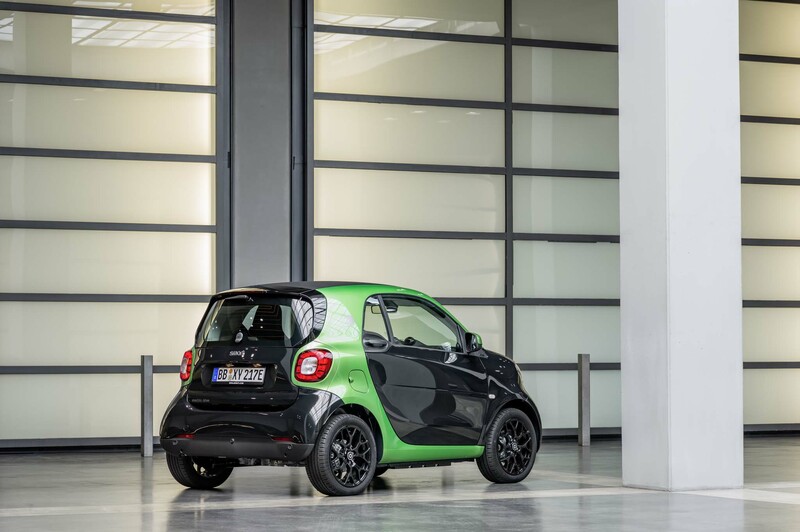 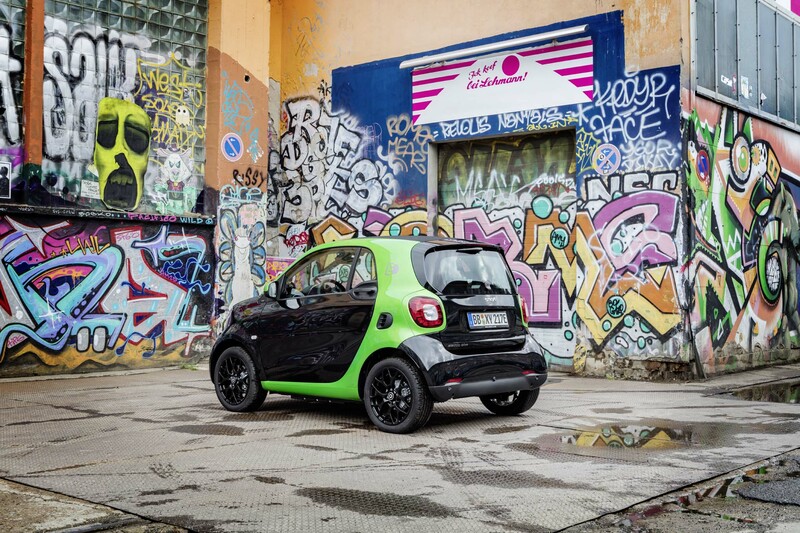 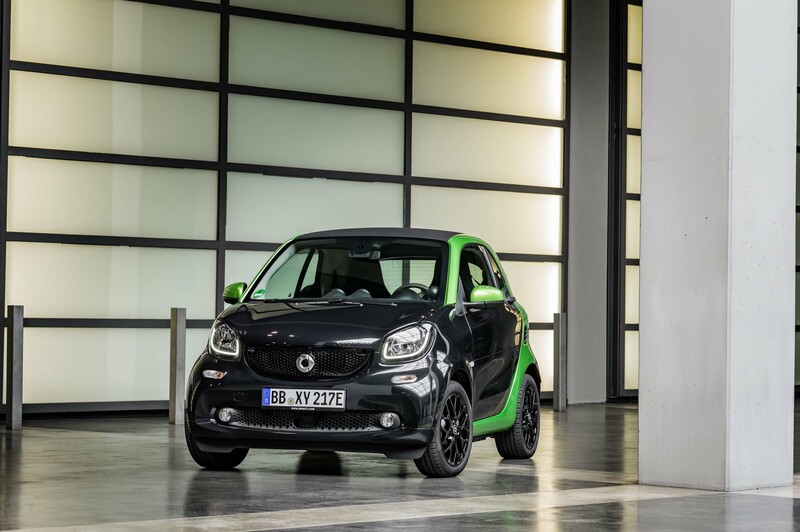 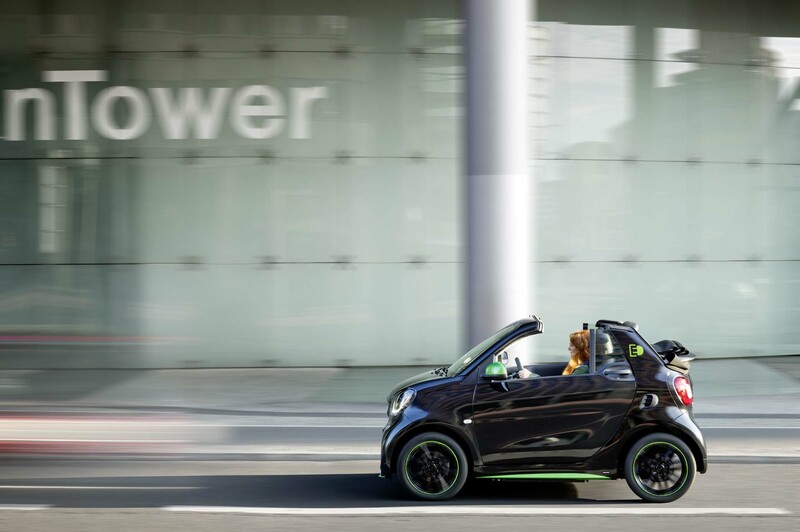 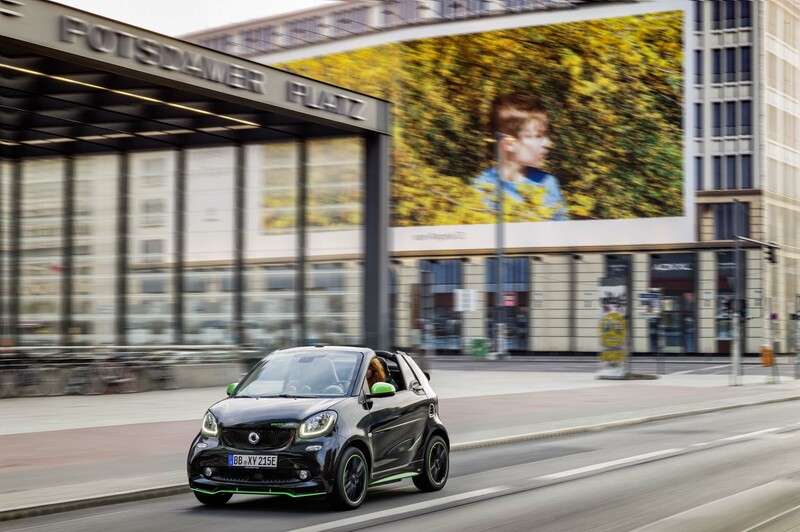 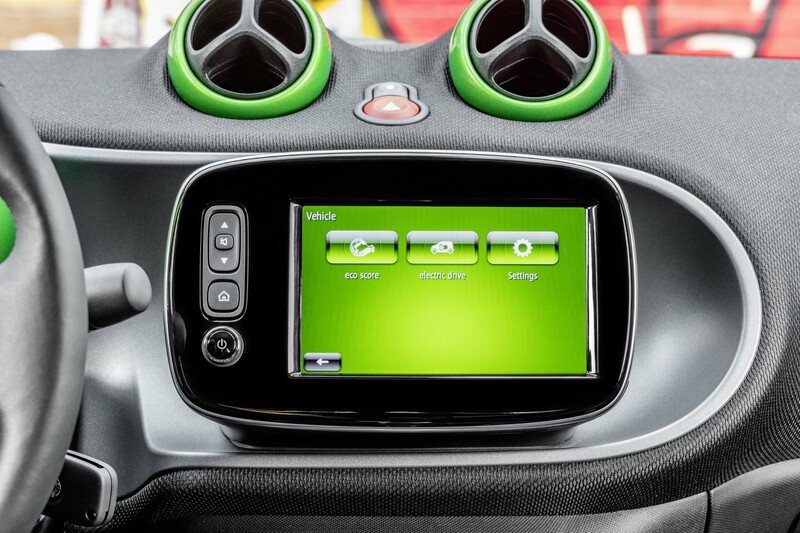 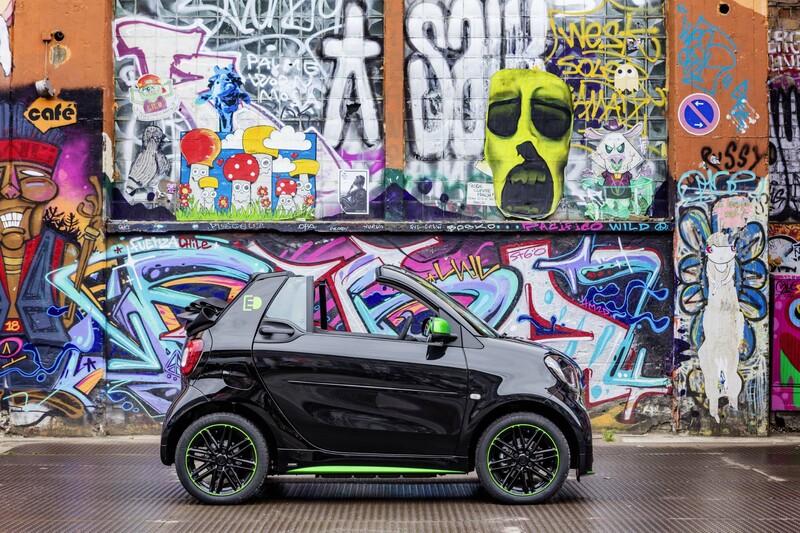 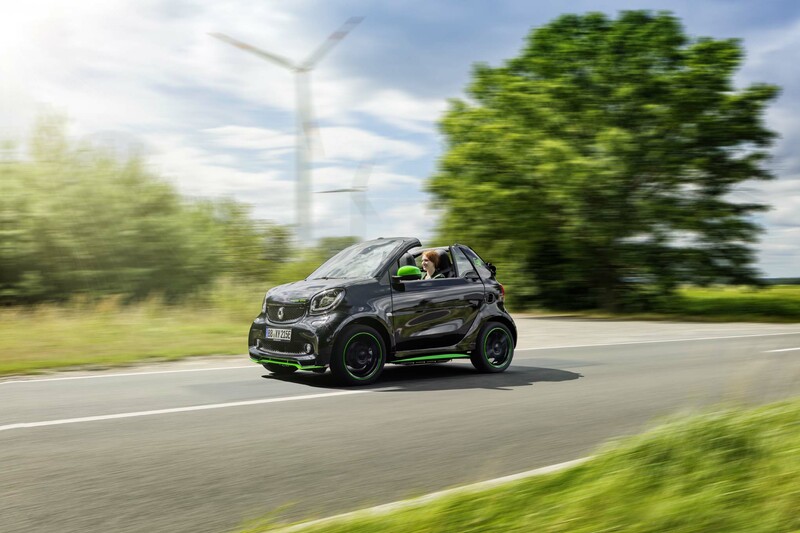 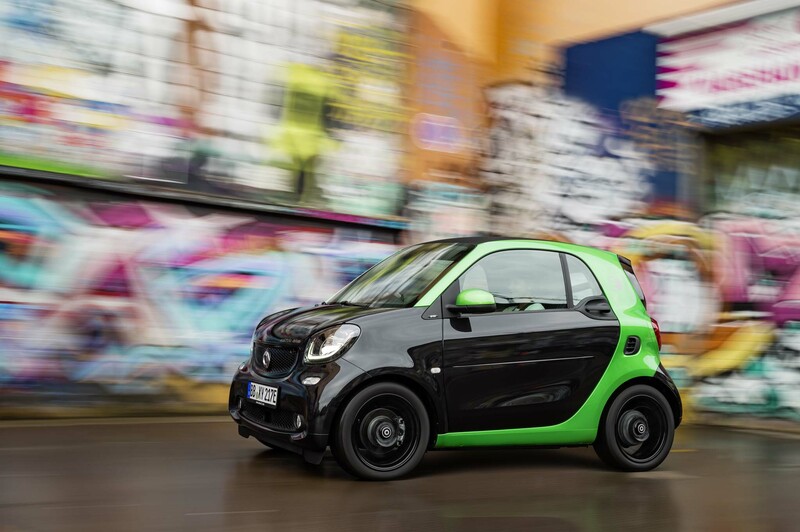 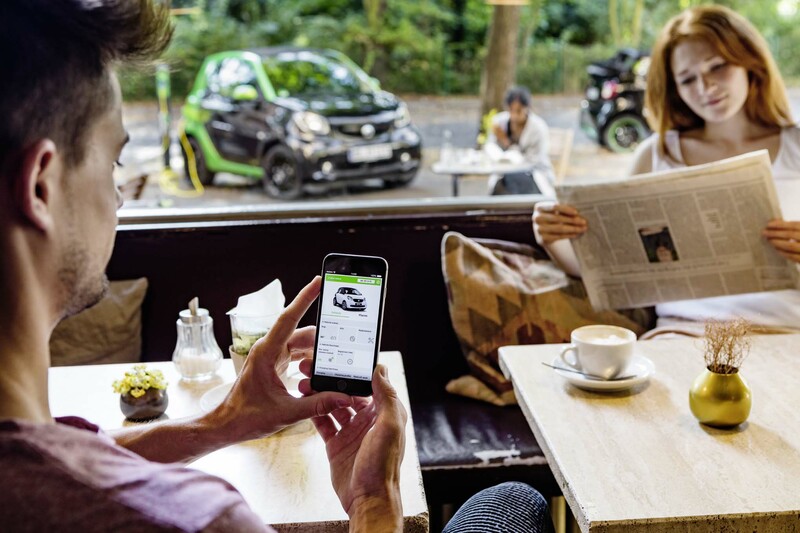 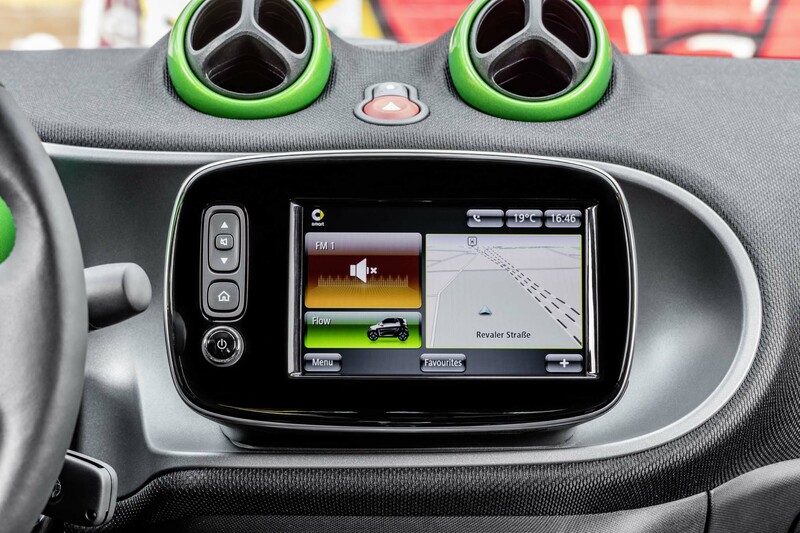 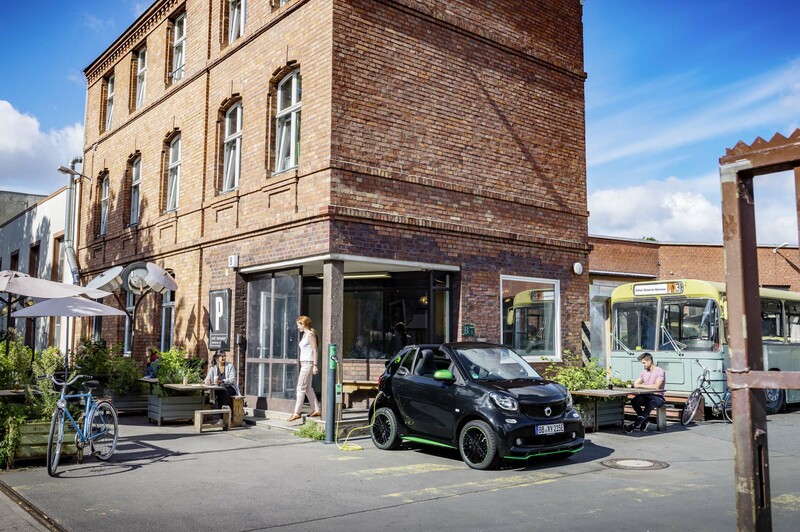 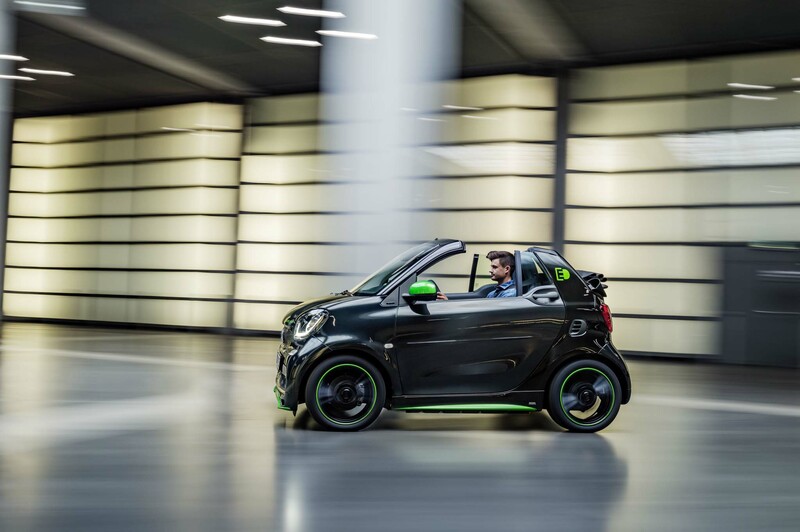 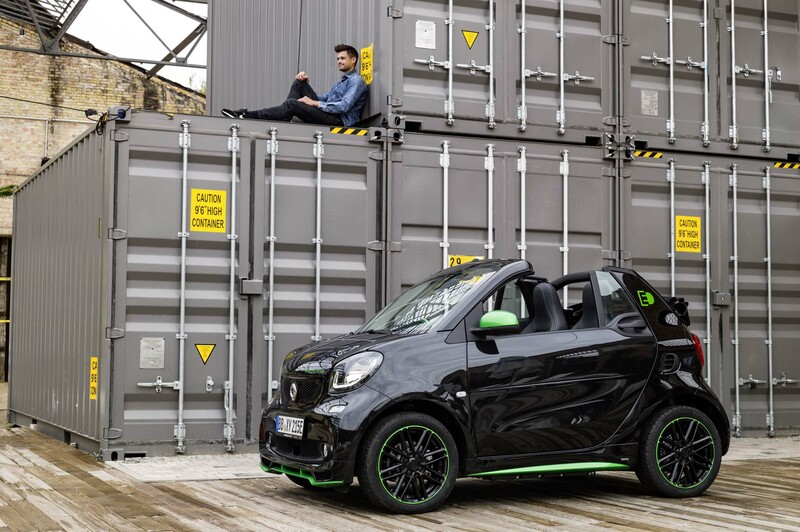 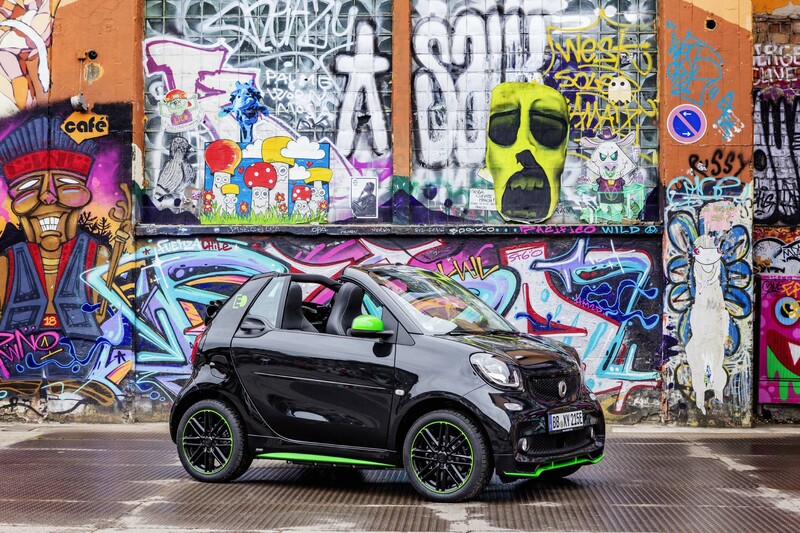 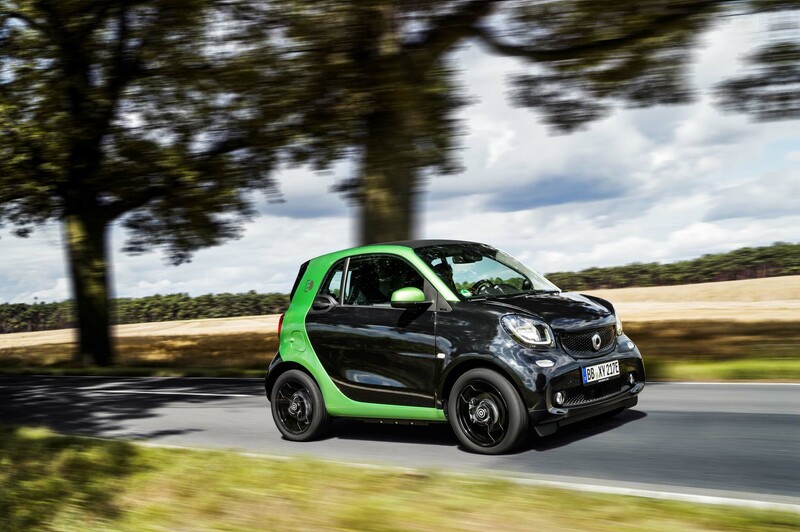 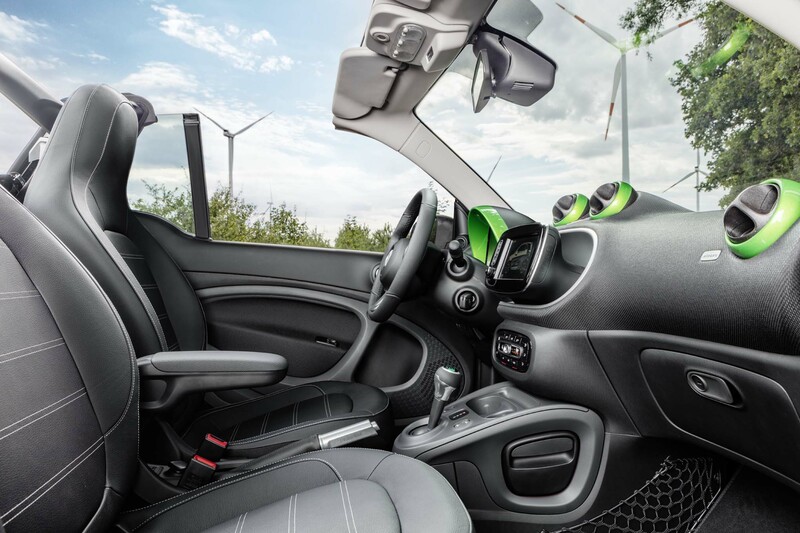 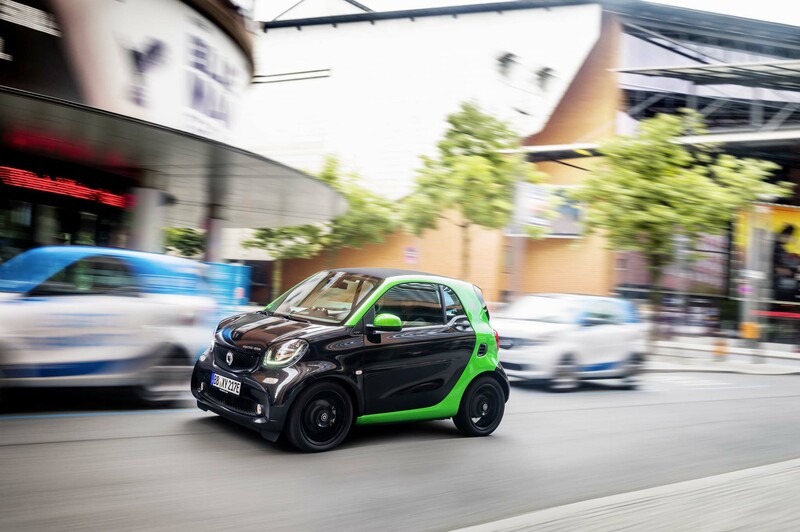 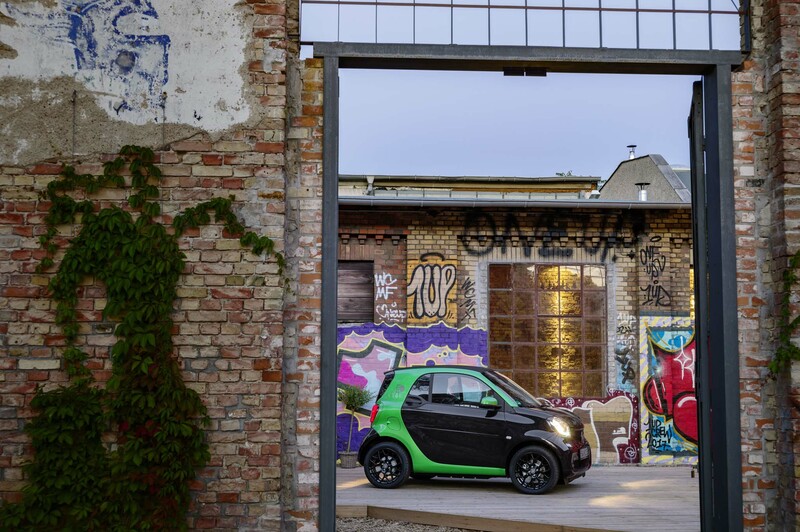 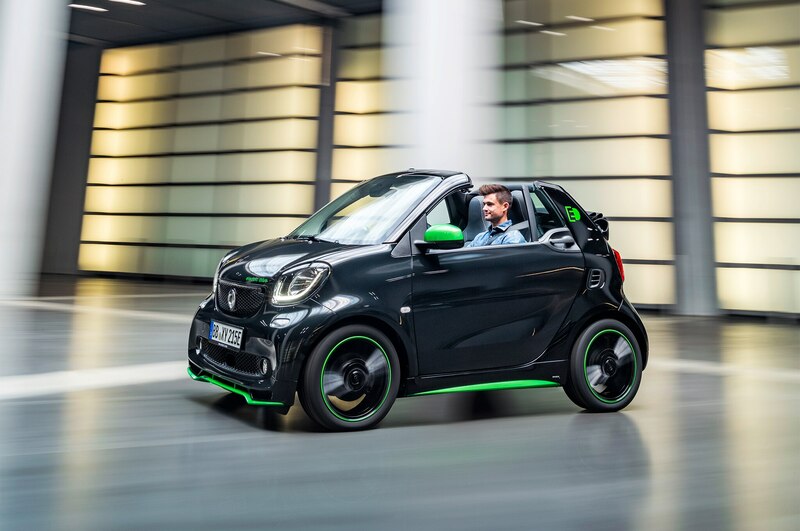 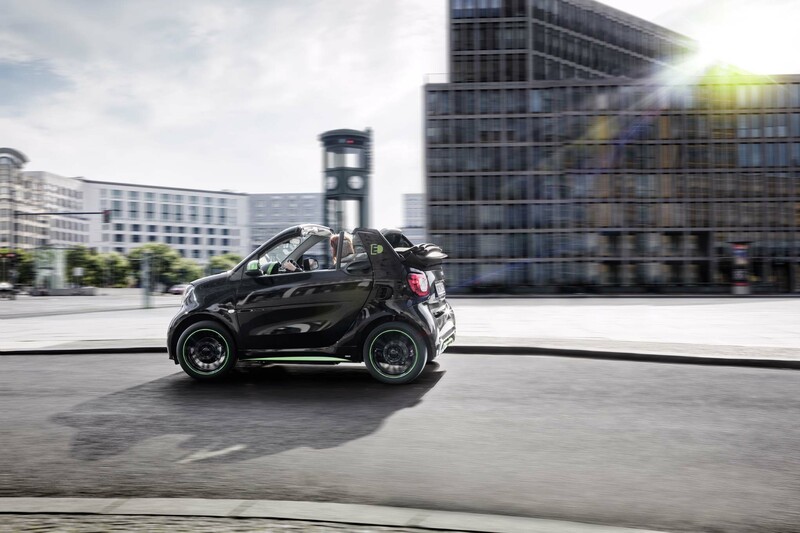 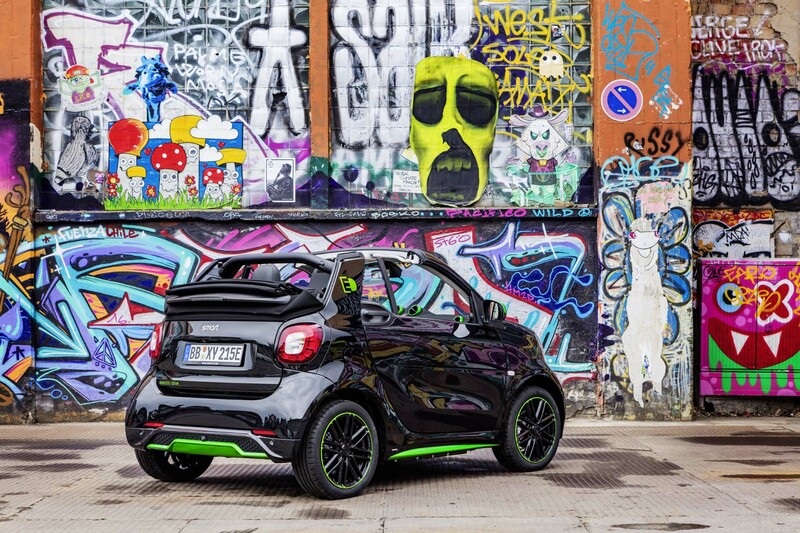 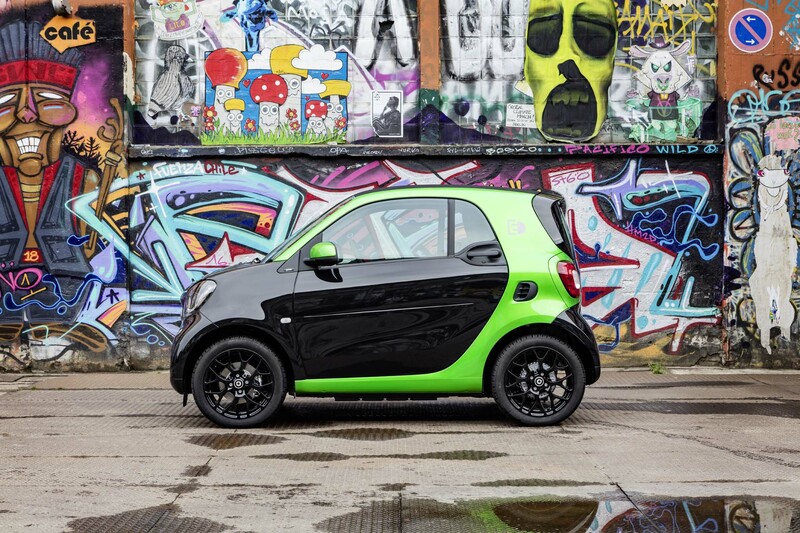 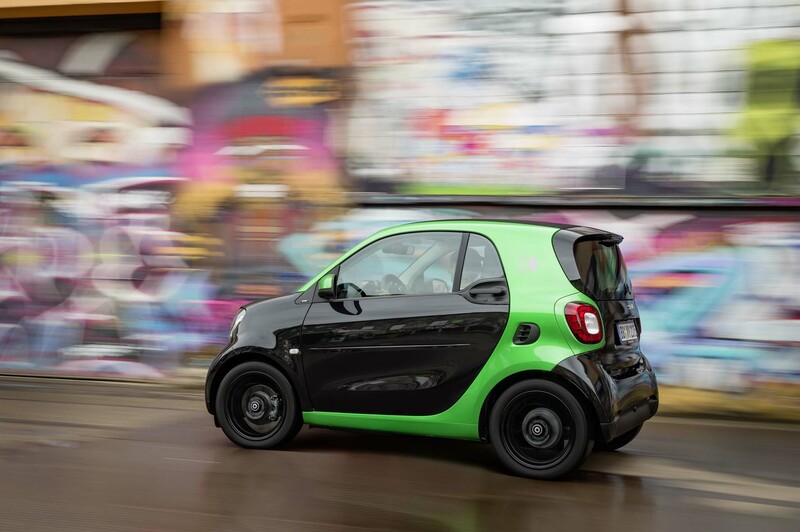 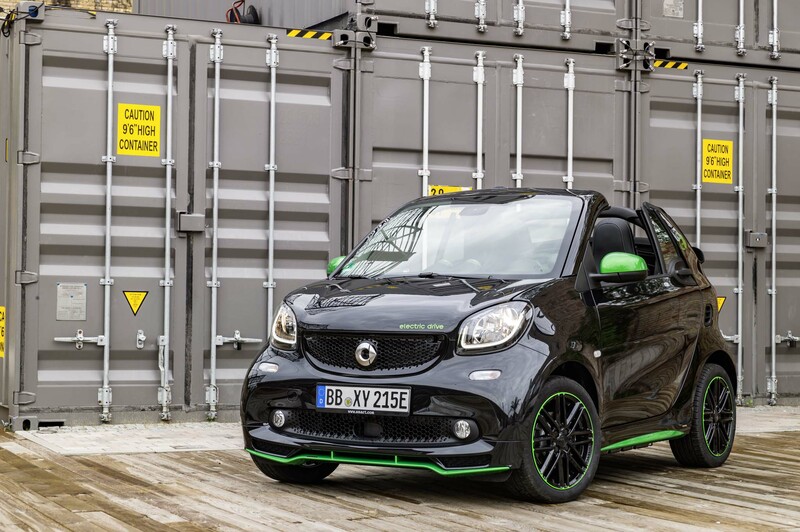 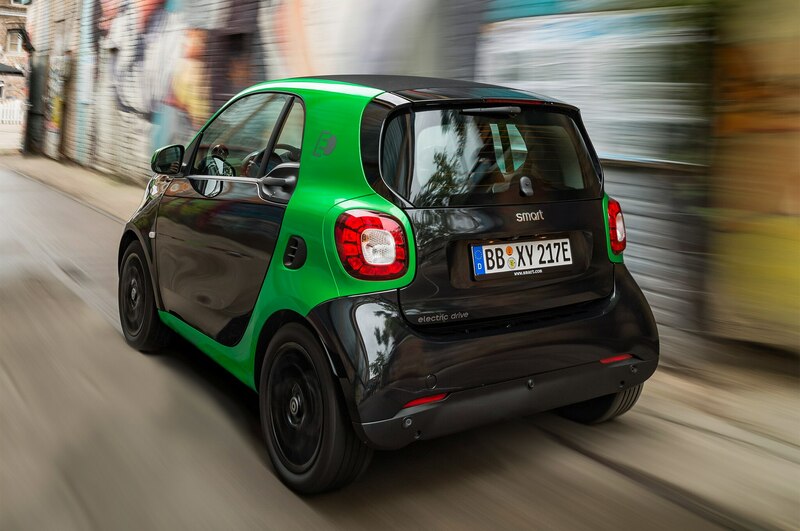 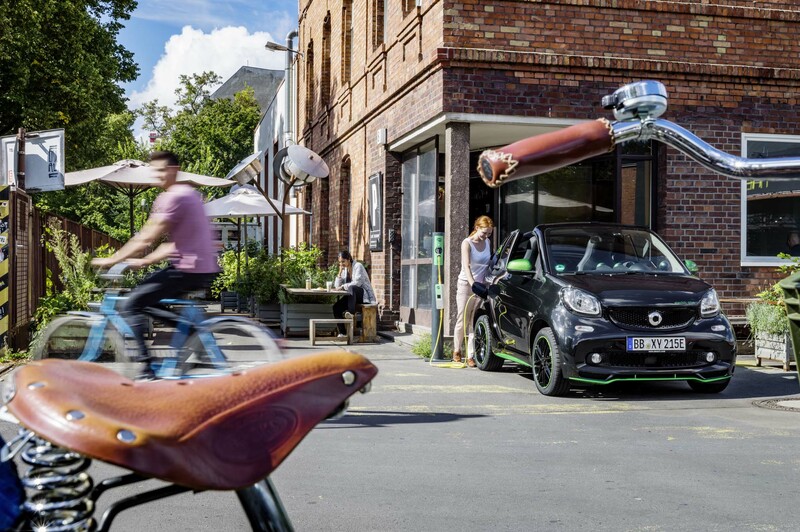 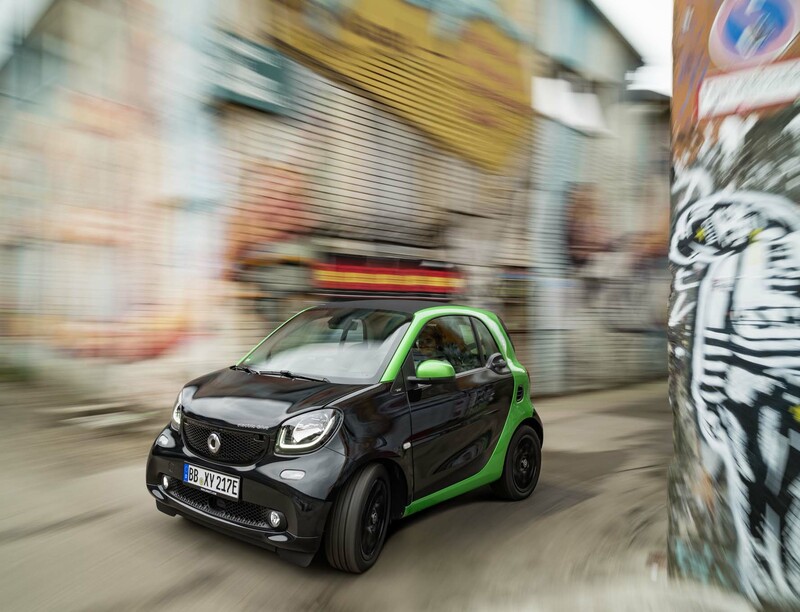 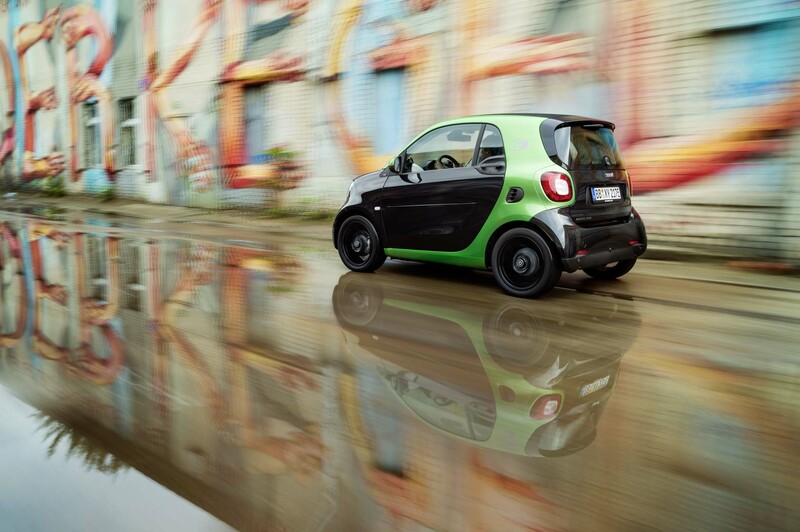 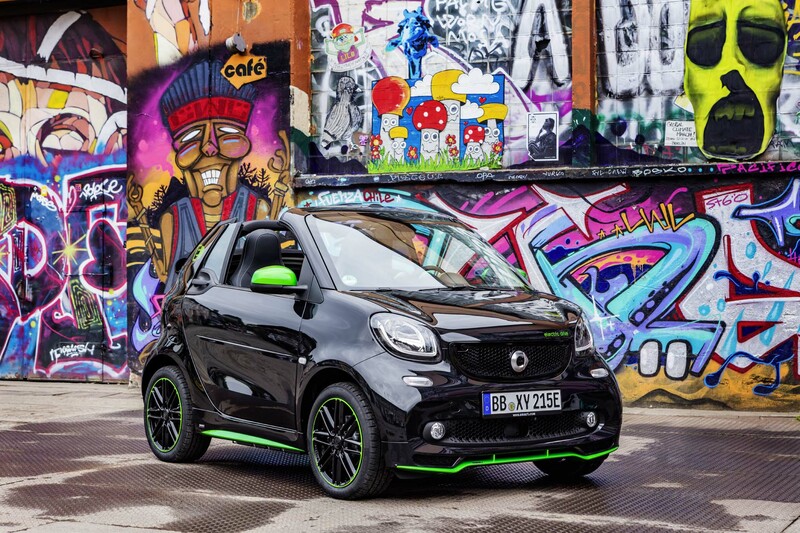 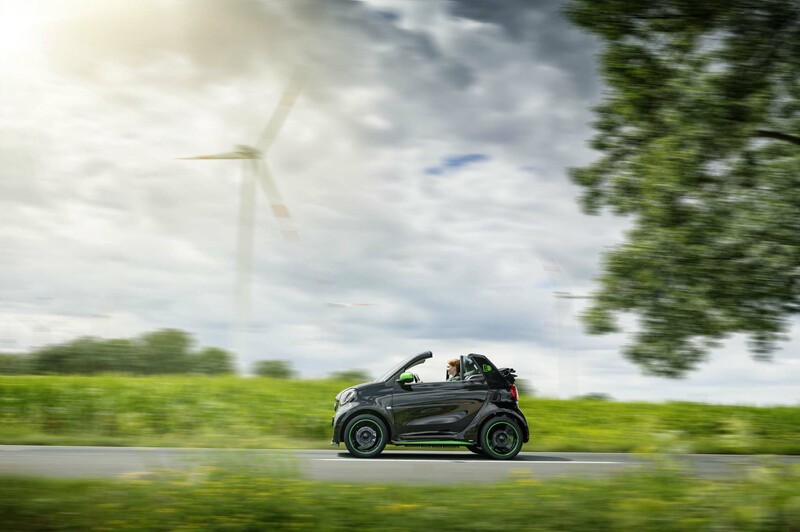 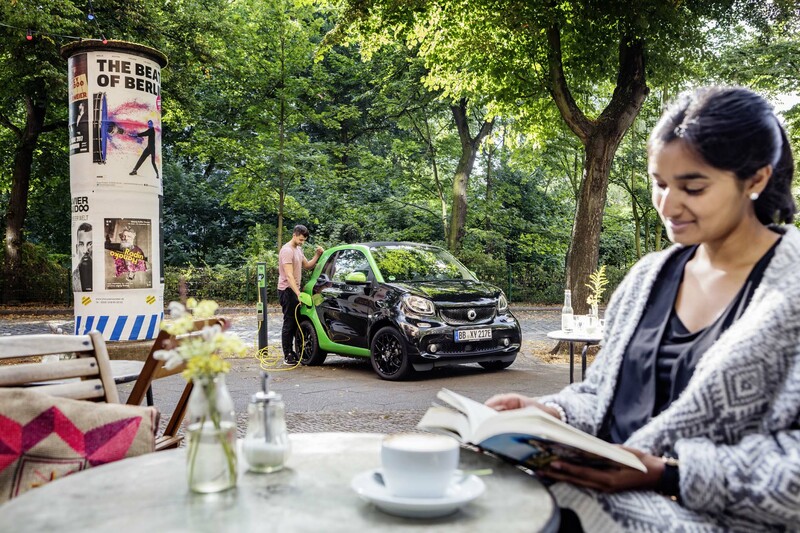 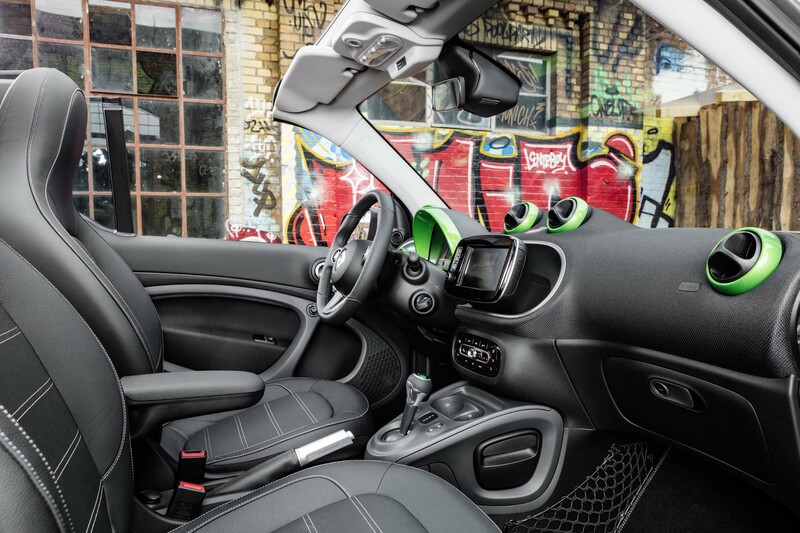 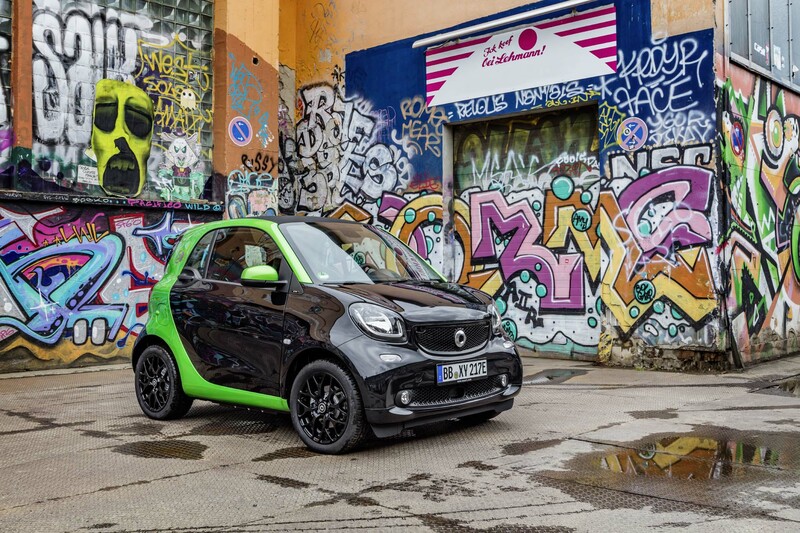 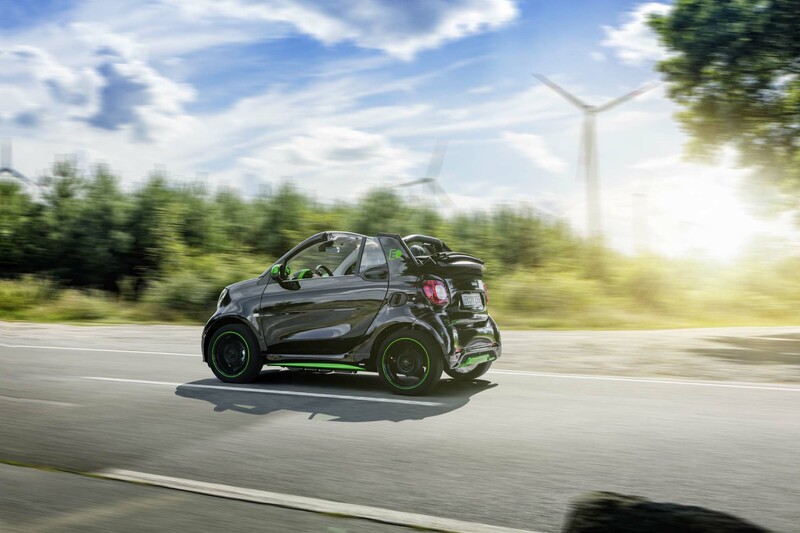 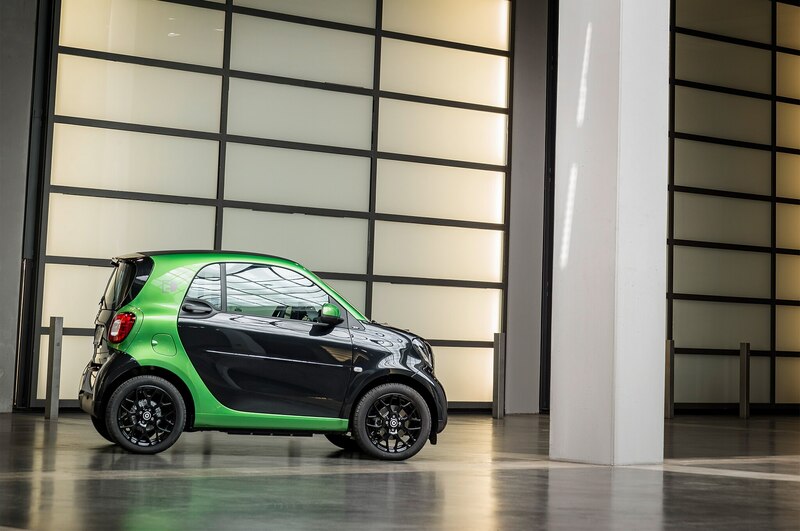 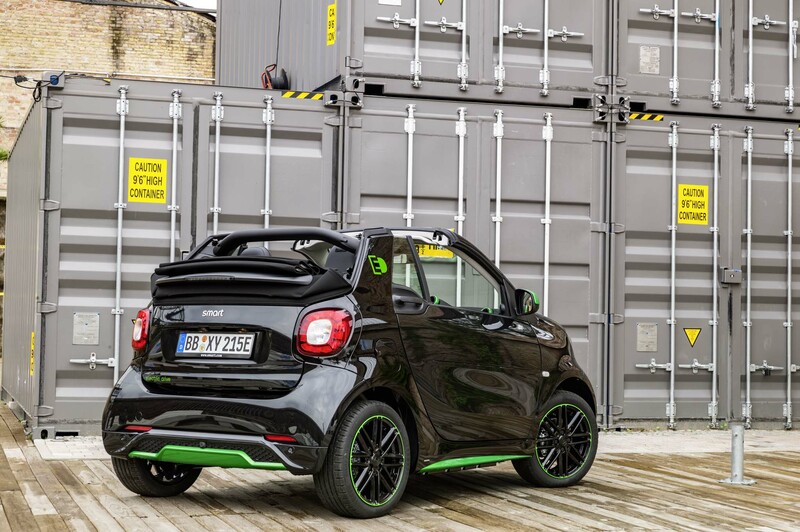 Smart has just unveiled the electrified version of its Fortwo microcar. 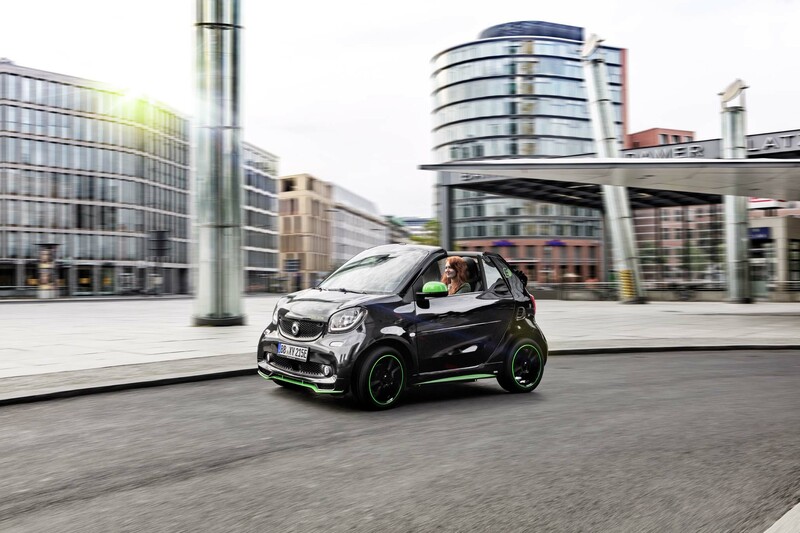 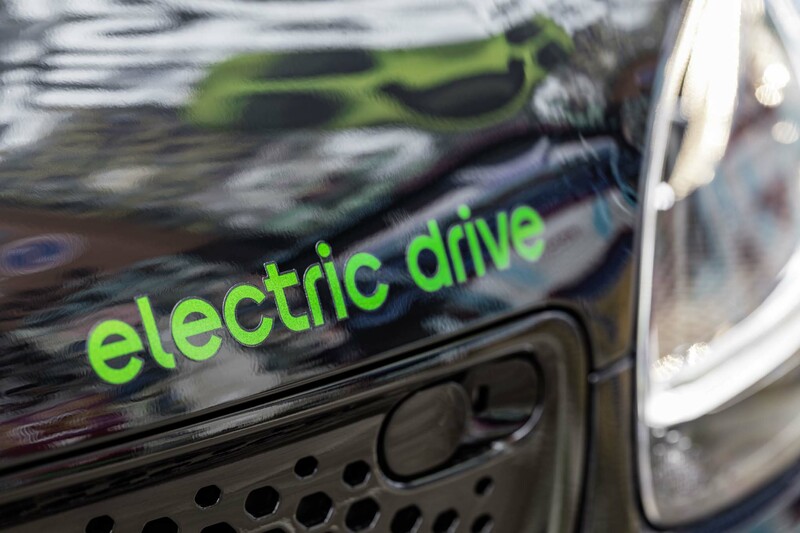 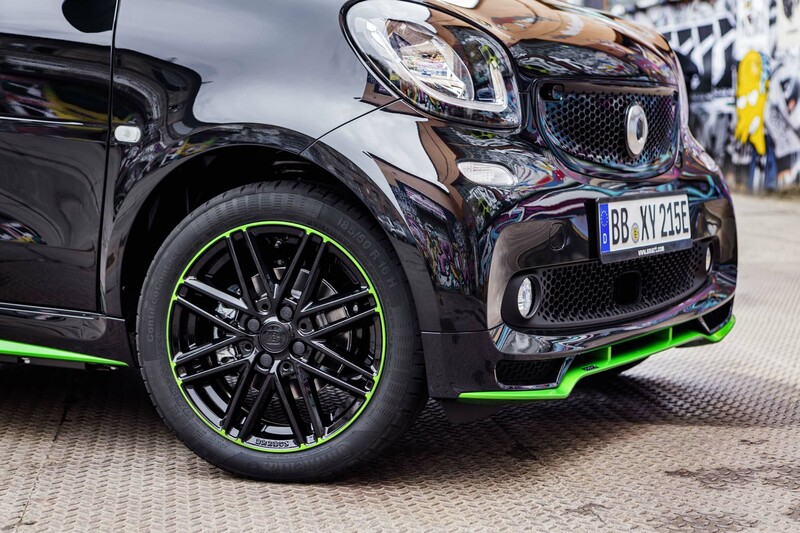 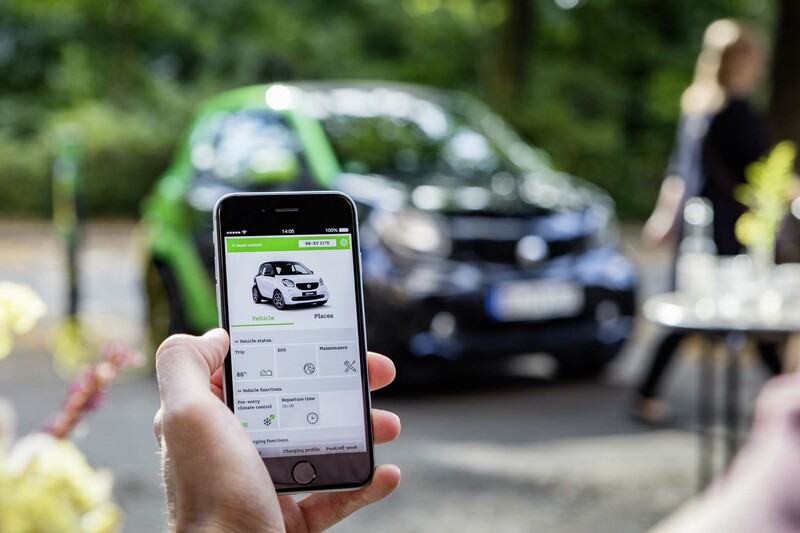 Set to debut at next week’s 2016 Paris Motor Show is the 2017 Smart Fortwo Electric Drive, which is expected to return more range than the current model. 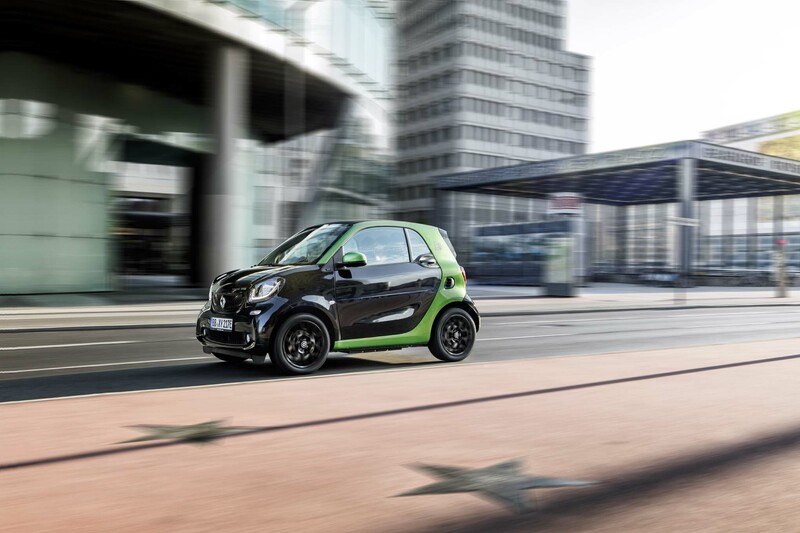 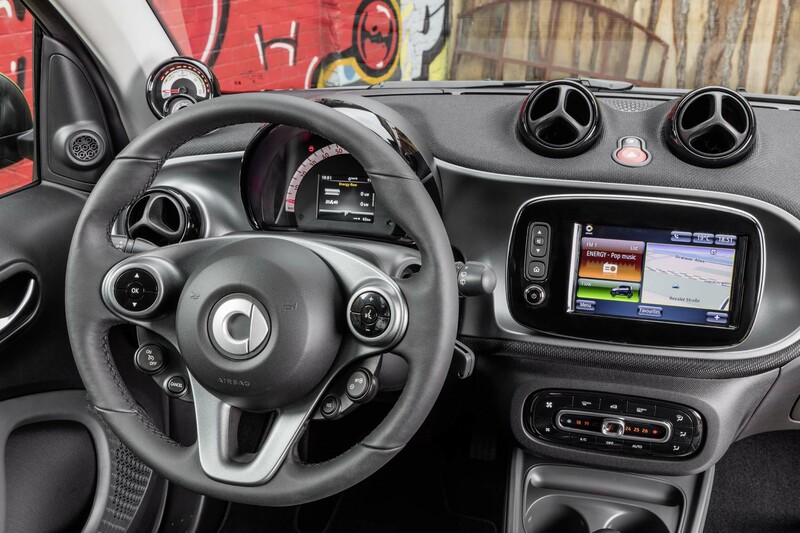 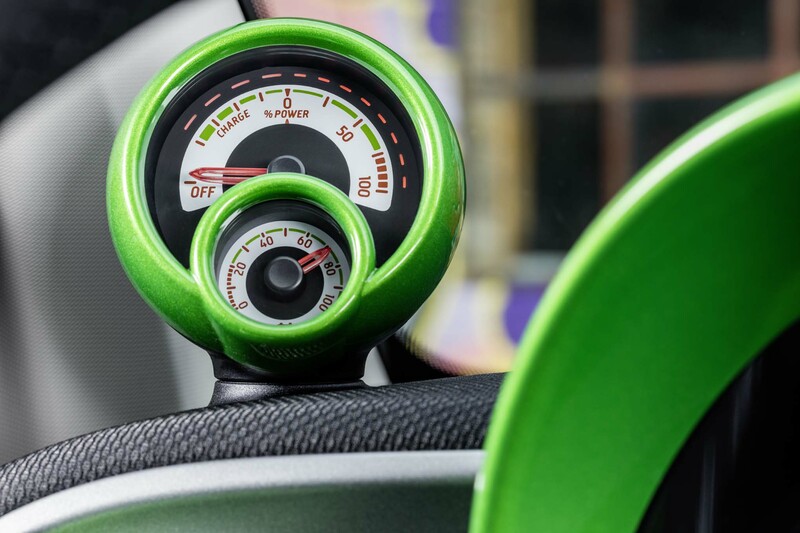 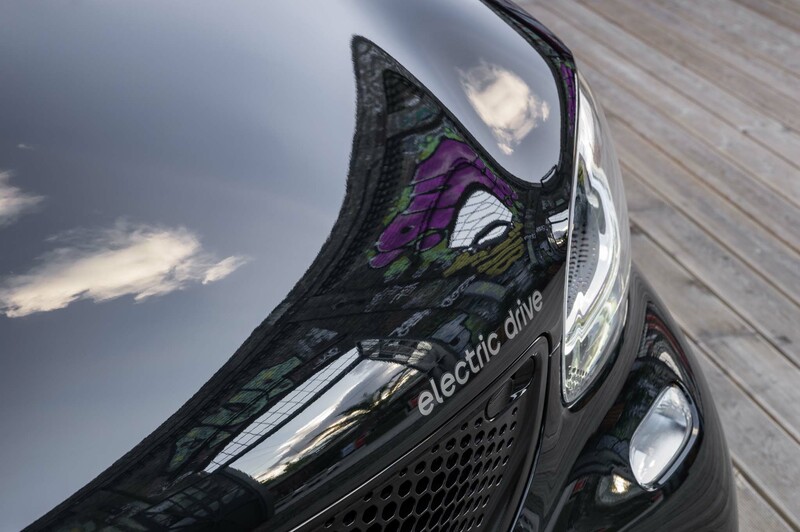 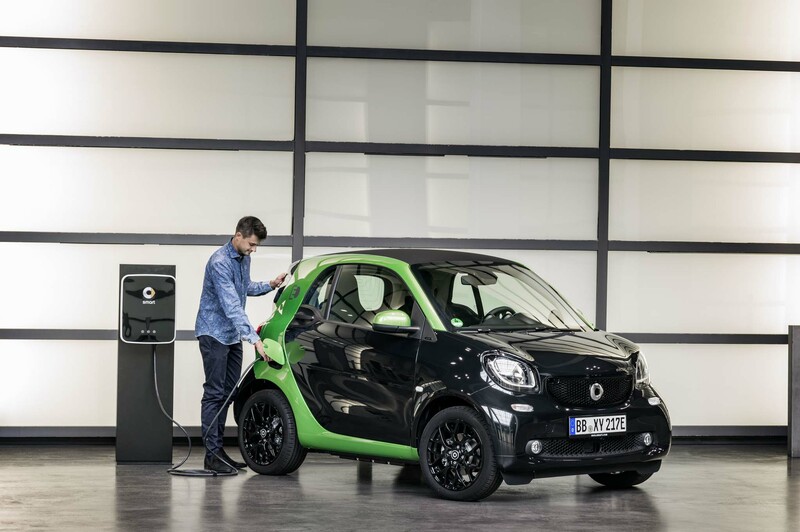 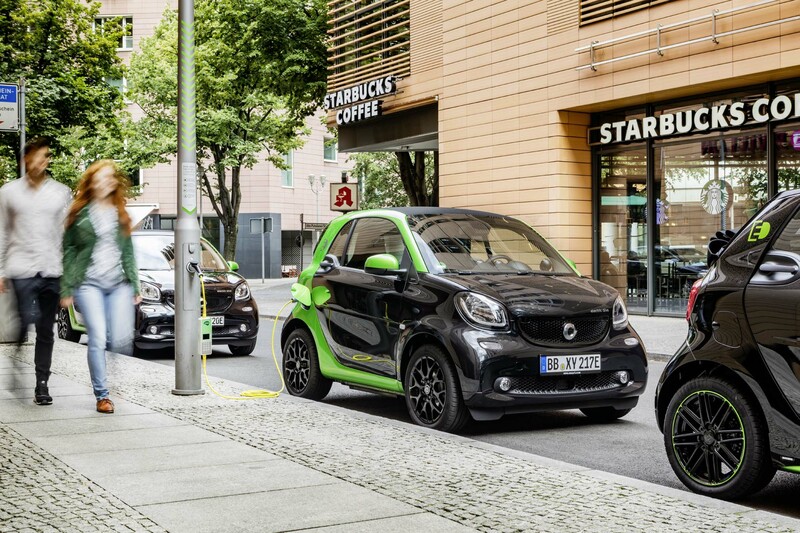 Based on the European testing standard, Smart says the 2017 Fortwo Electric Drive will return approximately 99 miles of range per charge for the coupe, and 96 miles for the cabrio. 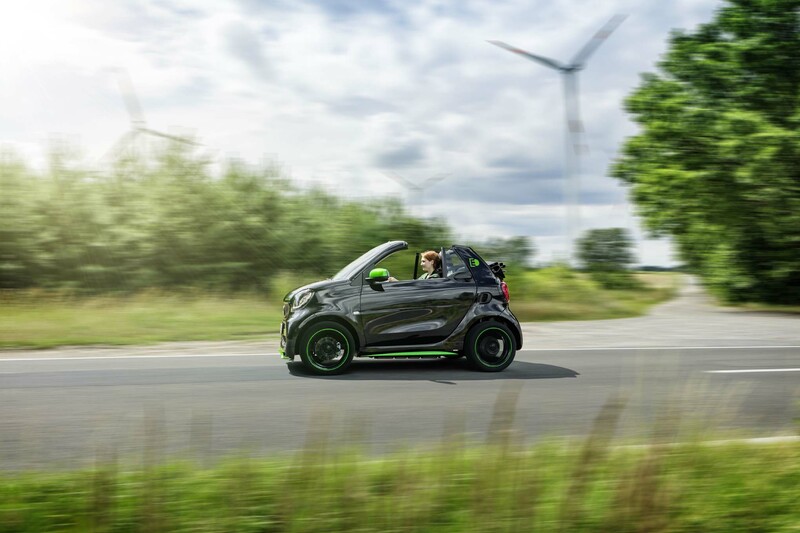 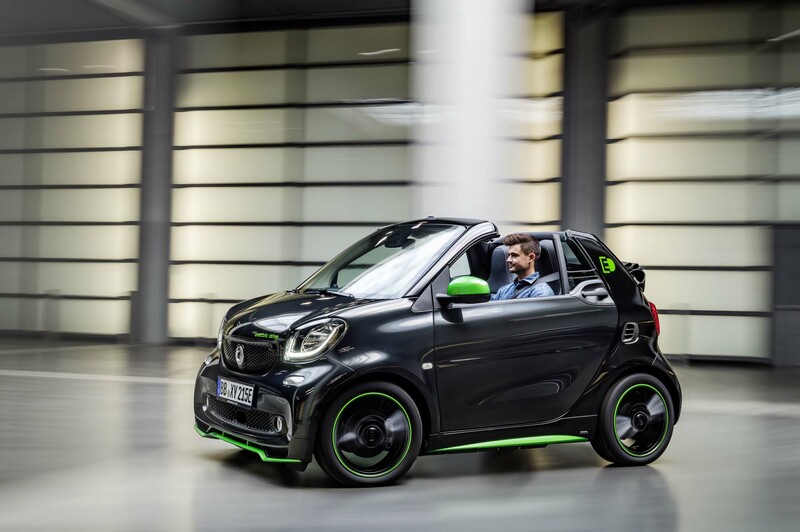 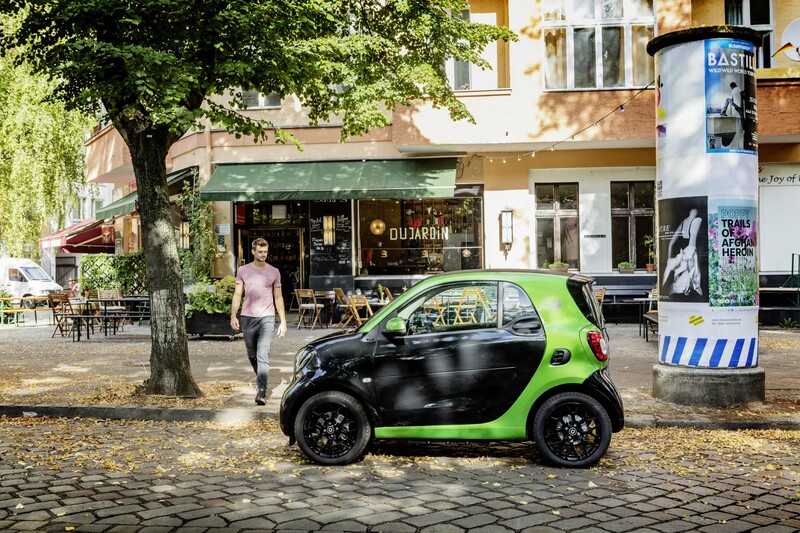 Smart isn’t ready to unveil U.S.-spec range, though we expect it to exceed the 2016 Fortwo Electric Drive coupe and convertible, which are both EPA-rated to travel 68 miles between charges. The new model features a 17.6-kilowatt-hour lithium-ion battery and an improved on-board charger that results in faster charging times. 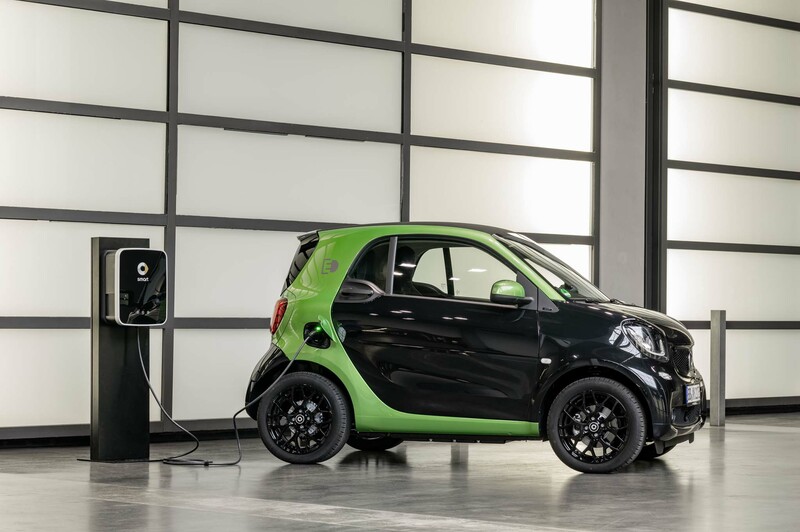 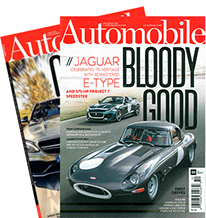 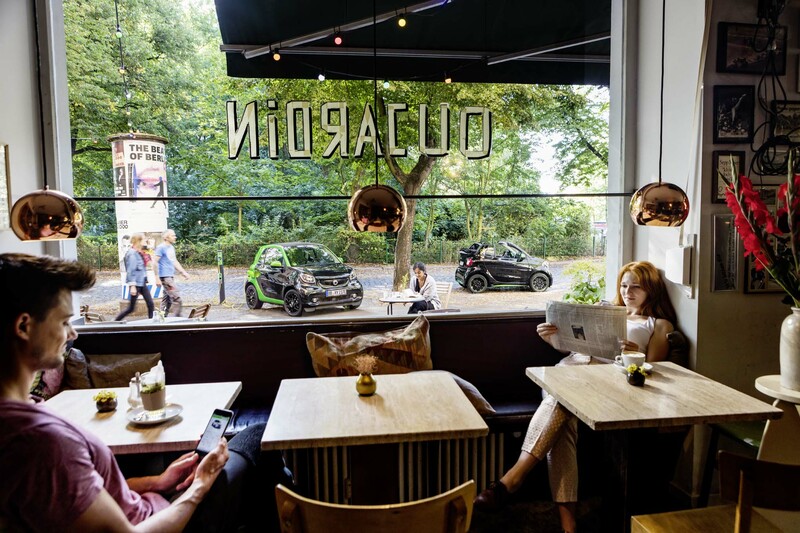 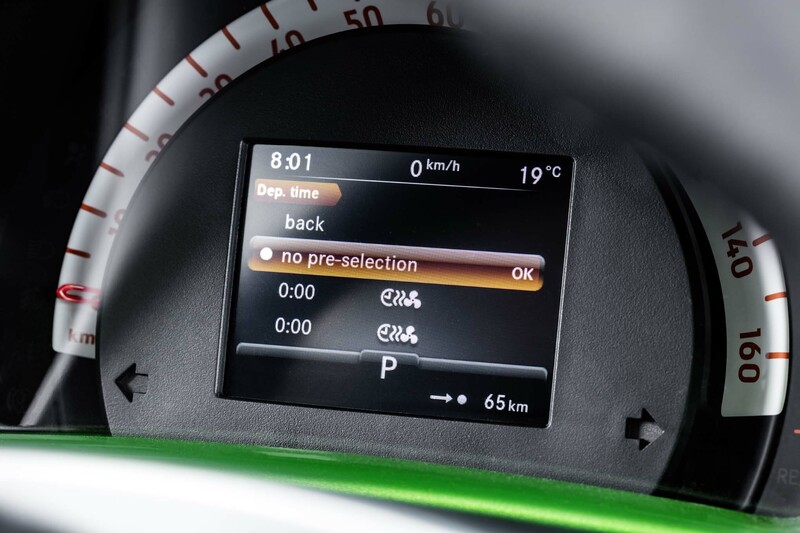 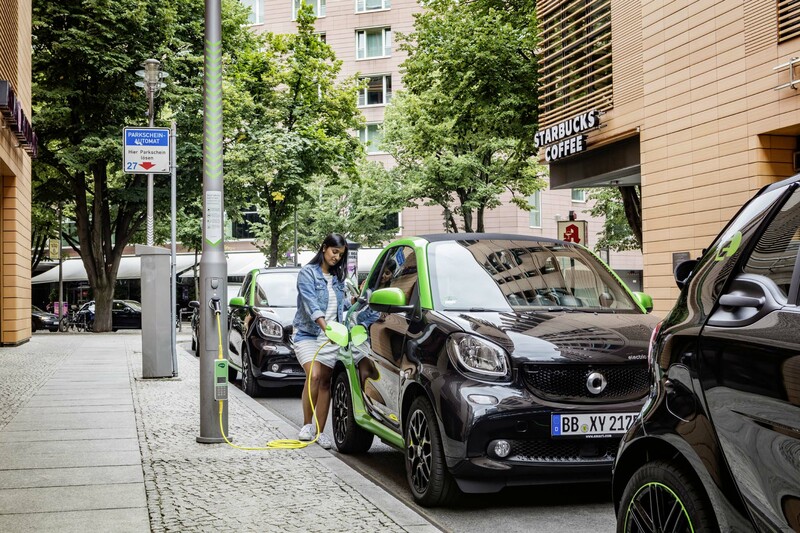 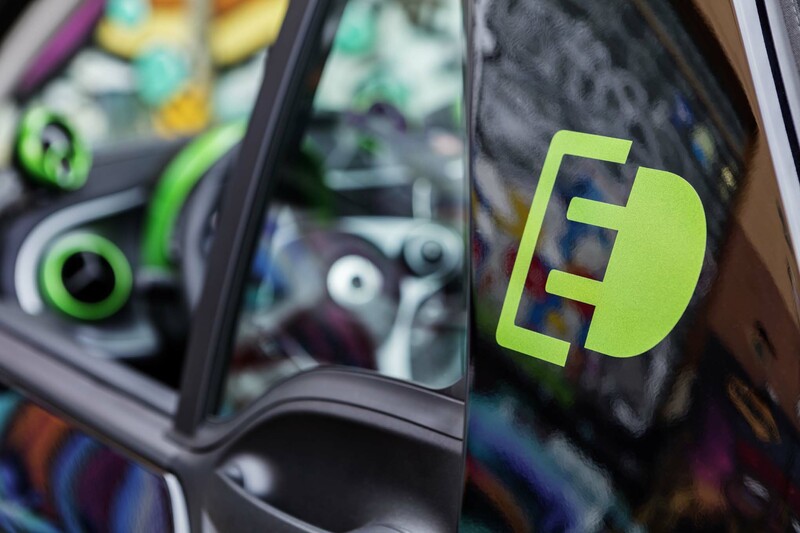 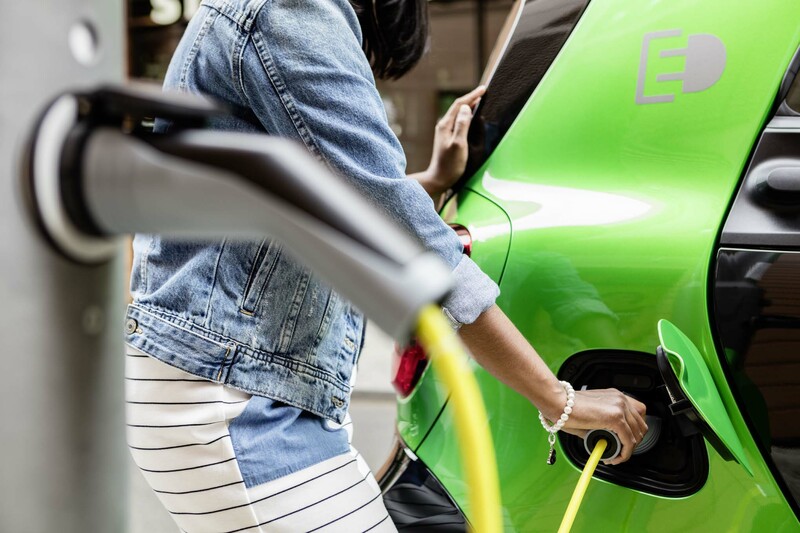 When using a Level 2 charger, Smart says the 2017 Fortwo ED should reach full charge in about 2.5 hours, which is a 3-hour improvement over the previous model. 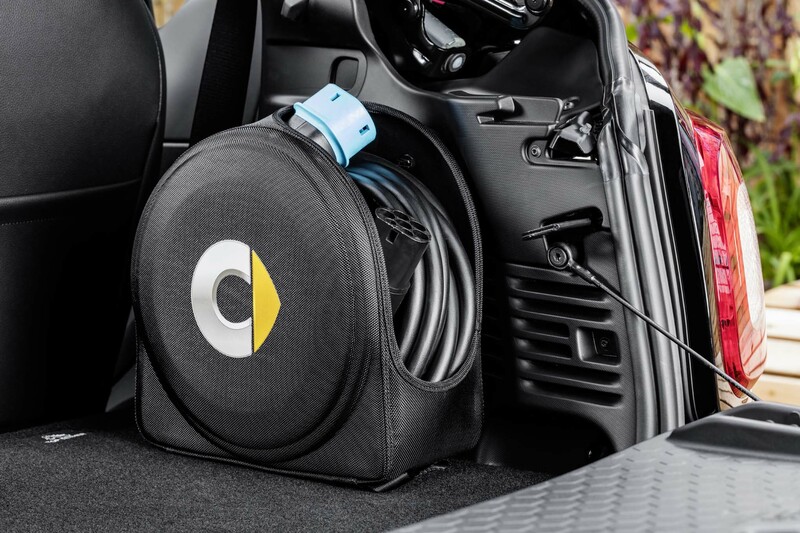 Charge time jumps to an estimated 22 hours when using a 110-volt power source. 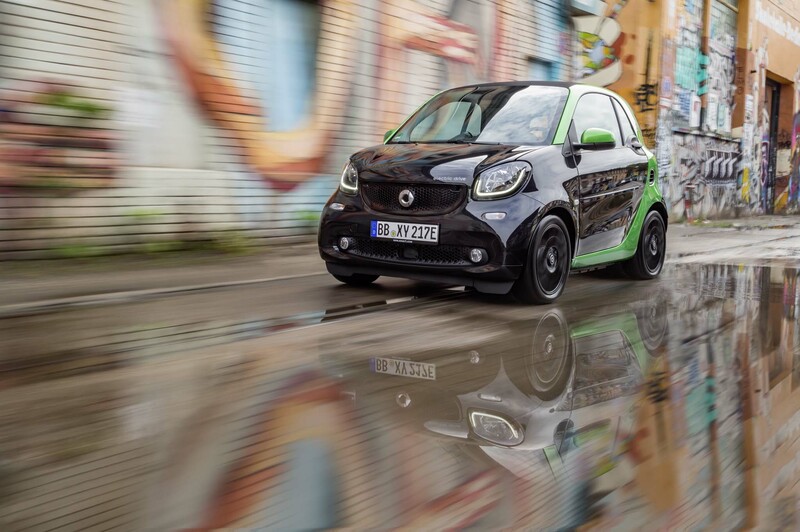 The new Fortwo ED’s motor is rated at 80 hp and 118 lb-ft of torque. 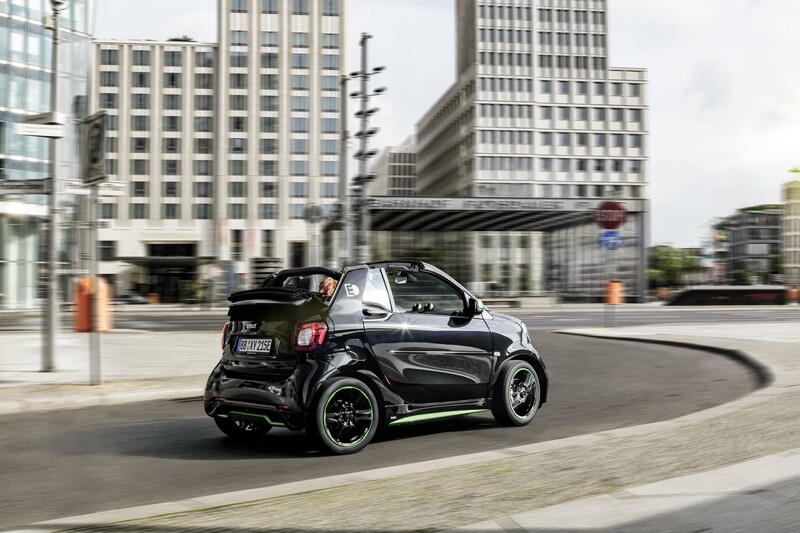 That’s enough to propel the coupe version from 0-60 mph in an estimated 11.4 seconds, or 11.7 seconds for the cabrio. 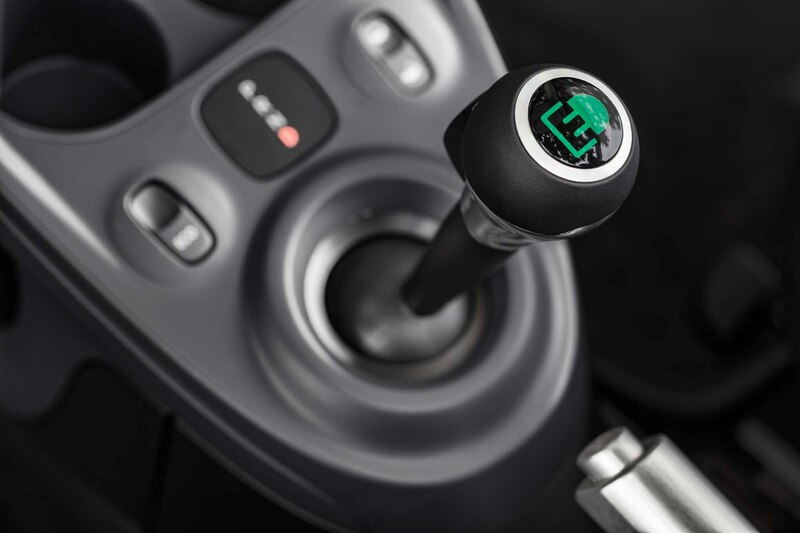 Top speed is limited to 81 mph, though that may change for the U.S. version. 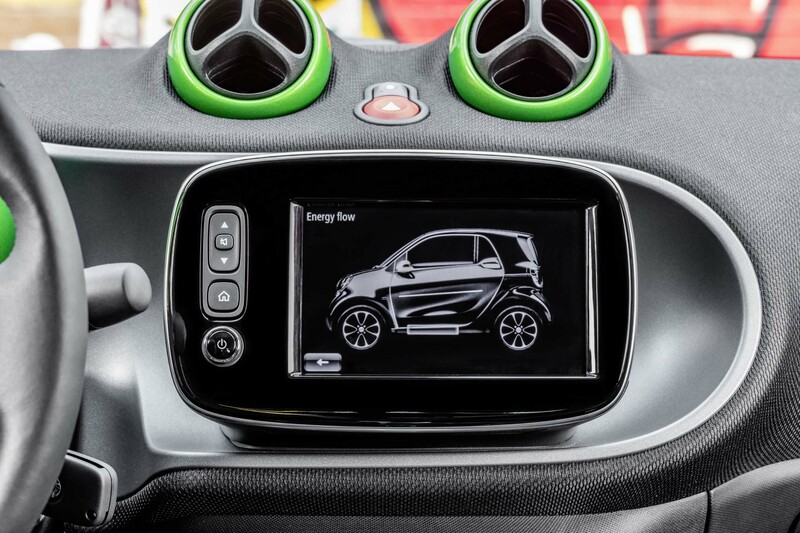 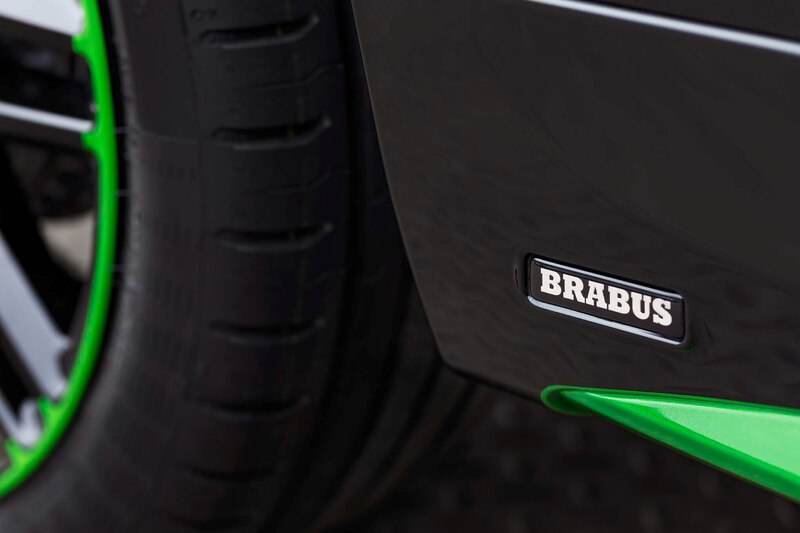 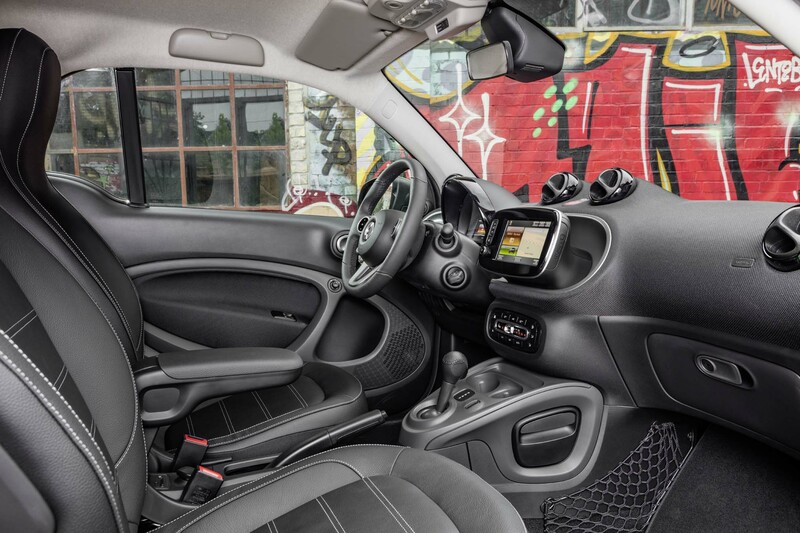 Styling and features will mostly mimic the gas-powered Fortwo that arrived in the U.S. late last year. 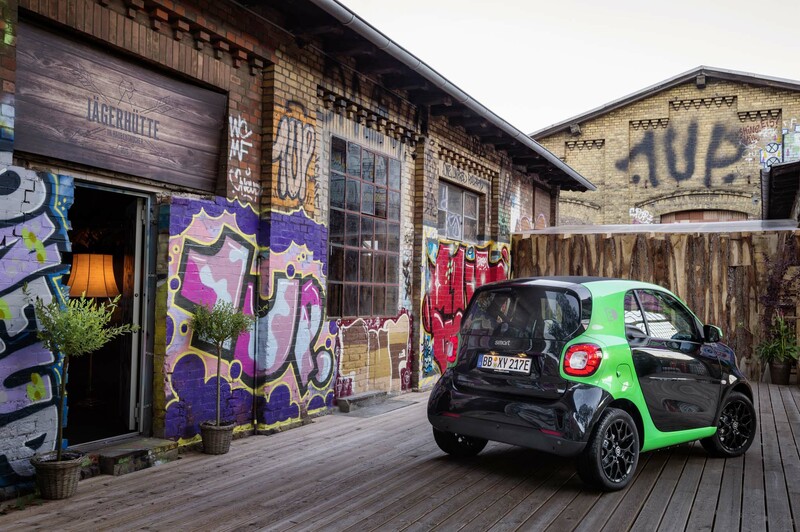 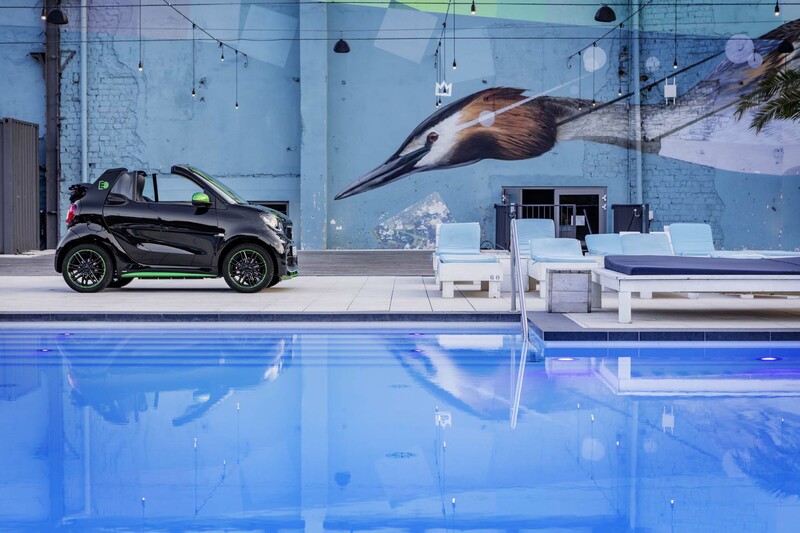 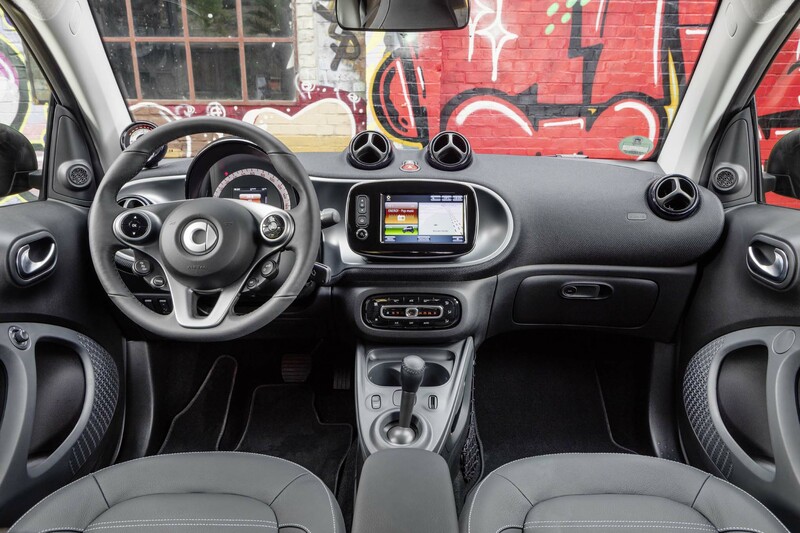 Pricing hasn’t been announced, though Smart says the Fortwo ED coupe should come stateside by next spring, with the cabrio to follow by summertime.